Cooperative parenting is obviously best when both parents are dedicated to working together for the benefit of their children, but it isn’t always the case that both parents are willing to do the hard work to put aside their own hurt and anger to work cooperatively as parents. When you are a co-parent, it is important to remember that you are not a single parent and you should truly share with your ex, so your children still feel they have both parents and two homes. But not all co-parents understand this. Remember, in sharing custody, you should not think of yourself as a single parent, since you are not, though adopting this mentality is one of the hardest things you can do in co-parenting. If you were a single parent, your home would be your children’s only home and your rules your children’s only rules. You would also not have the burden of providing a positive role model for your children in order to fill the gap left by a missing parent. So, count yourself and your children lucky if another parent wants to share that burden you. Most importantly, it is a great benefit for your children to have another parent in their life and to feel loved by that parent. Ideally, make your children feel at home in both parents’ houses, which will help them feel their parents divorced each other, not their children. This sharing arrangement also improves your relationship with your ex, because it shows you respect him or her, and thereby increases the likelihood of receiving respect back. In turn, this mutual respect makes a co-parenting relationship work, even if you do not agree with each other’s opinions, ideas, or behavior. Moreover, this mutual respect will enable you to tackle problems, share ideas, and find compromises. This respect for each other will also enable you and your ex to resolve your disputes in mediation. Then, if you can resolve any disputes respectfully, that will help spare your children pain, provide them with closure, and help you and your ex heal from a broken relationship, rather than ending up in a long protracted dispute in court that hurts everyone involved. Given the negative feelings that arise in a breakup with a partner, developing a working and respectful co-parenting relationship takes practice and guidance. A good way to start is working with a mediator or co-parenting counselor, or taking a class on co-parenting. Share your homes with your co-parenting partner, so your children feel they have two homes. Don’t think of yourself as a single parent, even if your children spend more time with you. Show respect for your co-parenting partner, even if you disagree about each other’s opinions, ideas, or behavior, and rules for raising the kids; this will help your kids adjust to having two parents with different views for how to behave. The two primary concerns to address when looking for the right ceiling fans for your home are style and function. A related concern is the quality of the ceiling fans because these fixtures have a wide range of prices available and the price usually reflects the quality. Below are some important reasons you should consider a ceiling fan for your home. Ceiling fans create healthy airflow. Ceiling fans effectively circulate air around a room, thereby keeping the air in your home from getting stale and continuously refreshing a space. They are energy-efficient and budget-friendly. During hot summer days, running an air conditioner all day can be expensive! Ceiling fans use less electricity than air conditioners, which makes them a more environmentally-friendly, cost-efficient choice. 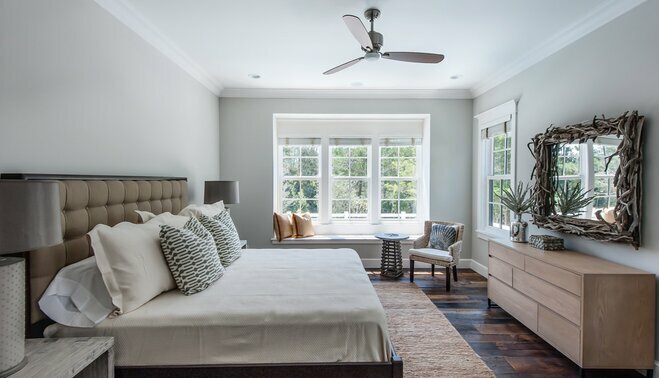 Adding a ceiling fan to your home also means that when you do choose to run your AC, you can run it for shorter periods of time and less often, while still being able to circulate cooled air. Ceiling fans extend your cooling (and heating) options across seasons. In the early summer and fall, it is often not warm enough for an air conditioner, but your home could still benefit from a cooling mechanism. Ceiling fans are a perfect option for circulating air and cooling your home without chilling it to an uncomfortable degree. The same can be applied to cold winter nights. Running your ceiling fan in reverse (which is actually clockwise) during the winter pushes the hot air in a downward, filling the room with warmth much sooner. This allows you to run your home’s heating system for shorter periods of time. 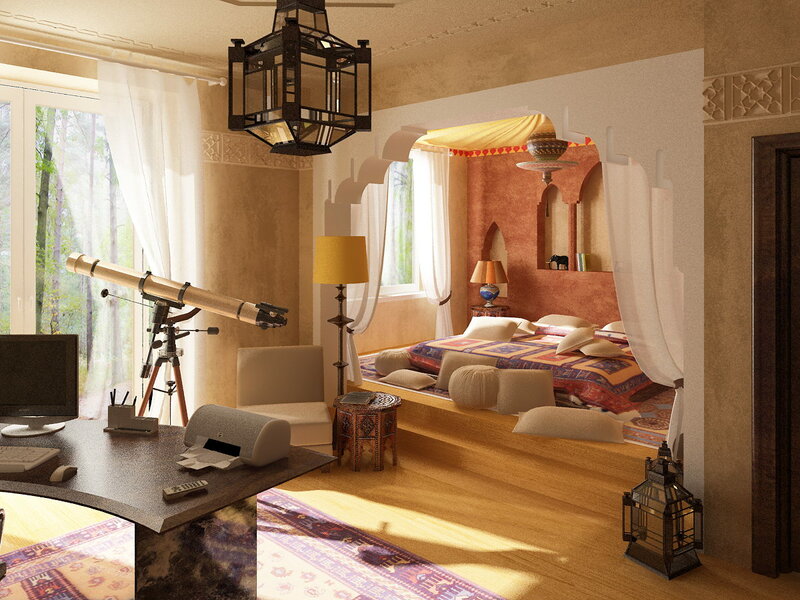 There are many design options available that can easily match your decor. From sleek and modern to ornate and traditional, there is a fan that will blend seamlessly into your home. Fans with integrated lights can help illuminate and add ambiance to any room. Some fans are designed with integrated lights and others are designed to retrofit universal light kits. Depending on the design of the fan, the light can be underneath the blades (which allows maximum light output from the light source) or above the fan ..
Bamboo kitchen cabinets may interest homeowners who are gravitating toward using a “green” home. Bamboo is surely an eye-catching option to traditional woods, and can be useful for cabinets and furniture. Kitchen cabinets are a very important feature in the kitchen. Not only are they utilitarian because they hold food and dishes, but they are also the very first thing somebody sees once they walk in the kitchen. The cabinets give you the overall aesthetic of the kitchen, the busiest room in your home. Bamboo is a renewable and lasting solution. This is simply not a wood, but is truly a reed, but is stronger and more durable than most of the wooden products in the marketplace today. Additionally, this product can grow and mature within seven years, lowering the impact you set on the environment. This is a beautiful product which was originally used for flooring solutions. It became such a favorite choice due to the strength that it was then utilized for furniture and now can be obtained for cabinetry for both bathrooms and kitchens. Bamboo has a similar shade as woods such as pine and is a light color with a hint of yellow that is typically generally known as “blonde”. Nevertheless, it can be tarnished and therefore you’ll have it just about any color you may be thinking of. Such a nature of bamboo does permit it to take in water without getting damaged at all. It is sufficiently resistant against other chemicals also that are a immediate implication of the reduced repairs costs. The material does not require chemicals for cleaning the cabinets. All it needs it water and mild detergent. In order to boost the eco-friendly benefits of bamboo, make use of green detergents that have no added chemicals that are bad for health. There’s no need to eliminate the whole kitchen cabinet to clean it, either. Yet another basis that could give explanation to the question of just why bamboo use has grown over time is that it is much more steady than wood. It gets its strength from the fact that every single strand is totally straight, giving it immense strength compare to wood which does not have such a straight grain. Whenever eco-friendliness is very important to you, then it pays to do some bit of research before making your purchase. Though bamboo cabinets are applauded as eco-friendly, the reality is that not every cabinets come in an eco-friendly manner. bamboo is treated with harmful chemicals. Investigate the company you’re thinking about buying from first, before making your purchase. 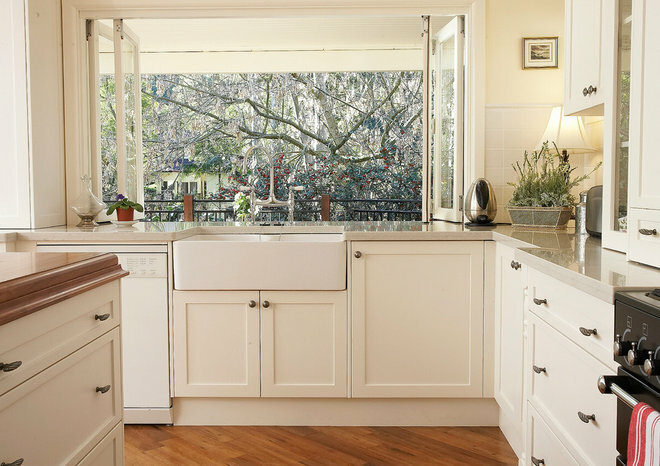 Are you getting tired of your kitchen? When was the last time that you really appreciated how your kitchen looked? Do you only go to the kitchen to cook and then leave? Why not consider changing your simple kitchen backsplashes ideas? When renovating a kitchen, the backsplash is the perfect place to add a bit of pizazz to a space that’s typically left unembellished. Go bold with colorfulpainted glass to add large-scale impact or stick with a neutral subway tile for an understated look. 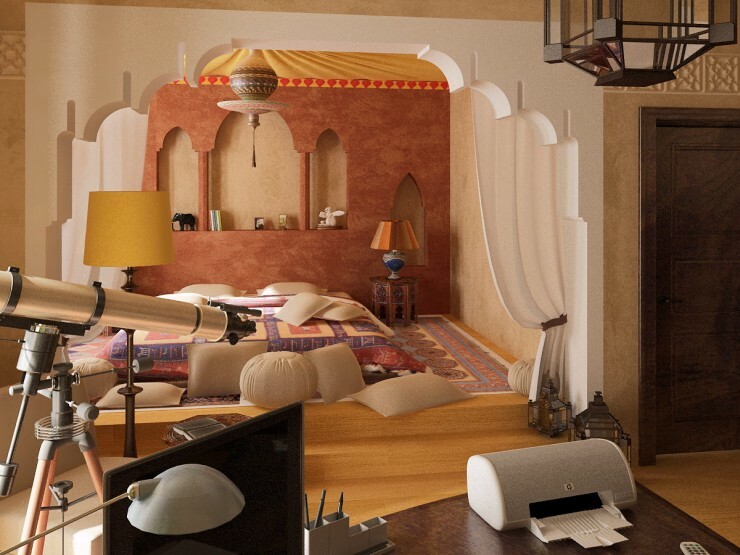 From traditional to ornate, these walls from the ADarchives stand out in the homes of Nate Berkus, Chrissy Teigen and John Legend, and more. Shown: In Gisele Bündchen and Tom Brady’s Los Angeles home, antique Tunisian tile from Exquisite Surfaces makes a lively backsplash in the kitchen, which is appointed with Formations pendant lights, marble countertops from Compas Architectural Stone, custom-made alder cabinetry, an oak island, and a Wolf range. The subway-tile backsplash, Electrolux dishwasher, and marble-top island are new additions to the kitchen Nate Berkus renovated for himself in Manhattan. The kitchen backsplash of a Virginia house decorated by Bunny Williams is sheathed in antique Italian tiles from Michael Trapp; the range is by La Cornue. A farmhouse sink is a great way to give your modern kitchen a down home country look without having to go through a full renovation. Being from Ireland and having included the beautiful Belfast farmhouse sink in many traditional country and farmhouse kitchen designs, I have a bit of a soft spot for farmhouse-style sinks. The farmhouse sink originated in a time when there was no running water. The idea behind the sink was that it was a place to hold large amounts of water, which was fetched by hand from nearby wells, lakes and rivers. The two original farmhouse-style sinks emerged in Ireland and Britain in the late 17th century. They were of similar design but had their own characteristics. The Belfast sink was deep and had an overflow so that excess water could easily drain away instead of flowing over the sides. The London sink — designed for an area where water was scarce and therefore more precious — was shallower. It had no overflow so that every last drop could be kept inside the sink. If you’re thinking about choosing a farmhouse-style sink for your kitchen, here’s what else you should know. The traditional farmhouse sink is generally a lot deeper than modern stainless steel undermount or top-mount sinks. Its design enables the user to stand directly in front of the basin, with no cabinets or countertop in between. This feature made the farmhouse sink more comfortable to use at a time in the past when women would spend a large part of their day there — preparing food and washing dishes, clothes and even babies. 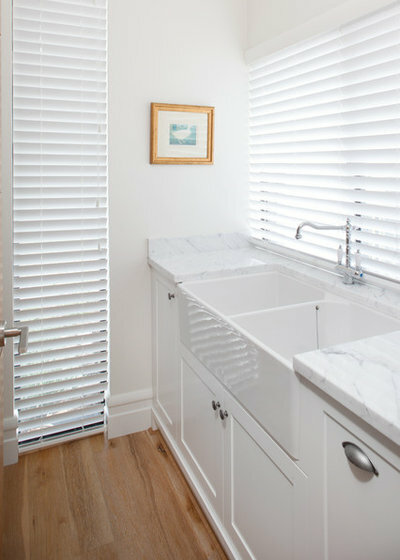 Though you could still wash a baby in today’s farmhouse sinks, you’d probably find them more useful for washing large pots, big baking sheets and oven trays, and even barbecue grills — items you would generally struggle to wash in a typical sink. Whether you are preparing to lay out a flower bed in your garden that is covered with grass and sod or setting up a new landscaping element to your garden, sod removal is essential. Sod refers to the section of your lawn ground that is held together by grass and matted roots. If you are thinking about turning an area of lawn into a garden bed, your first step will be to get rid of the grass. You can take different routes to accomplish this: Those that yield quick results can require considerable effort, while less labor-intensive methods may take at least a season to produce results. Here are four techniques for turning well-established turf into a bed ready for planting. Each method has its pros and cons, but all will get you one step closer to the bed you’ve been dreaming of. Digging up grass may reveal harmful insects, such as Japanese beetle grubs, which you’ll want to remove. This method produces quick, clean results and allows you to plant your garden immediately. But using a spade or fork to remove sod can result in a lot of sweat and sore muscles. If the sod is in good condition, you can use it elsewhere in your yard. Water the area a few days ahead of time to make the soil easier to work. The soil should be moist but not soggy. Saturated soil is not only heavy but also susceptible to compaction, which leads to poor plant growth. Cut the sod into parallel strips 1 foot wide using an edger or sharp spade. These strips can then be cut into 1- to 2-foot lengths, depending on the density of the turf and the thickness of the pieces. Next, pry up one end of a piece of sod and slide the spade or fork under it. Cut through any deep taproots, and lift out the precut piece, making sure to include the grass’s fibrous roots. If the underside of the sod contains much loose soil, a fork may work best, as this soil can be shaken back onto the surface when the sod is lifted. Roll up the strips if you skip the crosscut step, and keep peeling the strip back. Keep in mind, though, that these rolls will be heavy. If you are installing a large bed, consider renting a sod cutter. These steel-bladed, plowlike tools are more efficient than spades for large jobs, and they come in human- and gas-powered models. Inspect your new bed’s subsoil (and the underside of the sod if it will be reused). Once the sod is gone, look for and destroy potential pests, such as the larvae of May/June beetles. Remove any rocks, remaining clumps of grass, and sizable roots. Life as a new parent can be a hard and frustrating experience sometimes. You love your little one with your heart, but you sort of wish they were less maintenance, right? In case you have experienced being awakened in the early hours of the morning on an urgent infant feeding, you no doubt know precisely how significant baby bottle warmers could be. It will save you energy and time using these helpful items. Many can readily heat pumped breastmilk and formula within 1 to 3 minutes making use of baby bottle warmer. They’re very handy since if the baby’s room is upstairs you can keep them warmer up there also. The moment you change your newborn’s diaper, the baby bottle warmer may have effortlessly heated up 3 or 4 ounce of milk. They are very easy-to-use, quick and dependable. You would never need to fret that your new babysitter is going to overcook a bottle in the microwave. There are various advantages that are associated in using the baby bottle warmer. The most crucial would be the fact it is able to keep the liquid in the bottle at a constant temperature. Most bottle warmers available on the market are reasonably priced for new parents – however, a number of the top shelf warmers can come with a hefty cost. If you are looking to buy cheap bottle warmers very carefully read some parent reviews online before choosing anything. You shouldn’t risk purchasing something of sub-par quality just because you want to save some money. There are plenty of cheap warmers of quality out there, but also some badly made ones. Perform your research before purchasing anything, new parent! Always research the product’s manufacturer and read reviews by parents who’ve used them when possible. A reconditioned and newly painted metal furniture instantly provides your patio new look and fresh appeal. Caring for your old metal furniture may appear like a difficult project, particularly if your furniture is rusty, weathered and extremely ornate like wrought iron metal. Proper care of your furnishings may avoid it being damaged by exposure to the sun, scratches, discoloring and water spots and allows it to stay in your family for years to come. Commercial painting is not always a necessary option for caring and retouching metal furniture. Taking care of antiques and aging metal chairs and tables can be achieved by oneself but it is best to get professional aid. With a few easy ways of home care for these gears, they could undoubtedly last for years to come. Looking after metal furniture to prevent them from aging and corrosion, or simply to provide them a brand new and refinished look need not consume a lot of your time, effort or budget. Actually, you can find precautions that you can take that would preserve the vitality of your wrought iron chairs and tables for years. Metal furniture is often found outside, and that is because it’s a sturdy and long-lasting material. Drag your hose over and give it a great spray once a year to knock off any grime that is accumulated. If dirt still remains, you may want to use mild dish soap as well and make certain to dry them off. Metal furniture is popular for patios, gardens, as well as playground areas. To protect those surfaces most manufacturers apply powder coatings that can protect the metal surfaces without requiring any heavy maintenance routines. Refinishing them each year is an effective maintenance practice for this furniture because they are exposed to open. When applying finishes, steer clear of placing accessories over your furniture to avoid damages and scuff. Wherever possible, protect the surface with a mat before placing the object. Old metal could be very tough handle, though sometimes caring for them is simpler than looking after present day furniture that come with different fabric and wood. Giving your antiqued and rusty outdoor metal furnishings a brand new glow by refinishing could enhance the appearance of the metal and prolong its life in the long run. With your maintenance project done, you can now sit back and enjoy the fulfilling feelings. A job done correctly is unquestionably worth doing, especially if its helps convert an eye-sore into worth admiring a whole new look metal furniture. 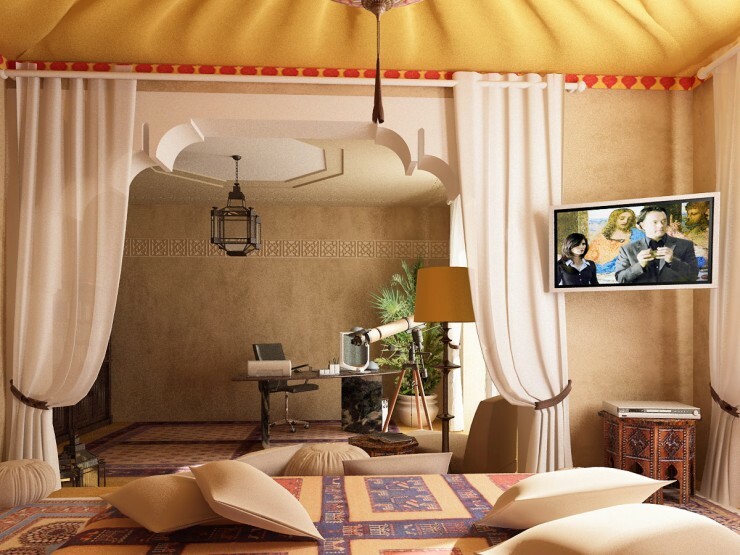 Moroccan bedrooms are the newest trend in interior design… warmth, colors, unique designs, stained glass lamps and fabrics: A recipe to exotic living. The bedroom is your private space in the house and it is the place to relax. One of the easiest ways to improve the functionality of your game room would be to give a little something suitable for entertaining. Home bars are a cost effective method to improve your home and possibly your social life all at the same time. The cost of making this addition can be very reasonable, and the return on your investment should make it well worth it. Home Bars are distinctive furniture goods that can be found in many designs to meet the decor of any home, and within a wide range of costs. Very good quality Bars are created from walnut, oak or mahogany wood and wood veneer, and a few more costly models are created from solid wood. Bar sets – that include the Home Bar and matching Bar Stools – can be obtained at additional savings rather than heading out and getting one piece at a time. 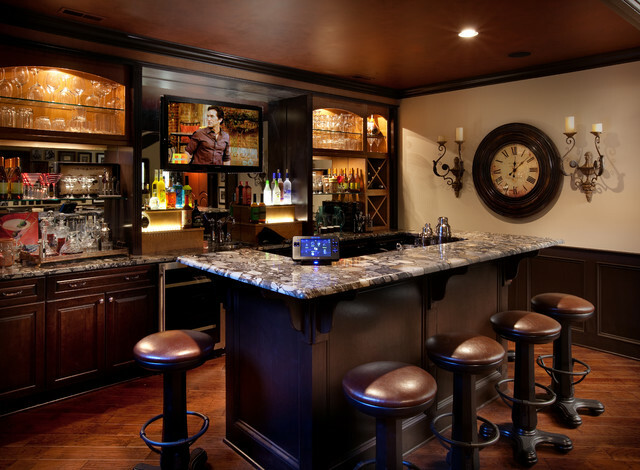 Your home bar will serve as a place in which you will hold your important secret or intimate meetings. Big or perhaps essential discussions occur in those meetings and you need to make sure that those decisions are kept clear and confidential. Additionally, you can set the mood, pick the music and have the drinks you wish. Unlike in the commercial bars, you don’t get to deal with these things. But in your house, you’ve got all the freedom to make such decisions. And the most essential thing is, you don’t get involved in a fist fight when attempting to push your personal interests. It offers a sense of belonging to your household and friends realizing you possess an area that can accommodate them when they want to have some few drinks or simply relax. It eliminates the awkward feeling staying in the family room or elsewhere in the house. A home bar could be a good way to efficiently store and arrange all of your liquors, drink mixers, and bar accessories. Yet another excellent reason to possess an home bar is the fact that will save you much more money and possibly your life, is always that you are going to no longer have to go out to a bar to have a drink. Without having to leave your home means you won’t have to worry about driving drunk. Driving home after a couple of drinks obviously could be fatal. And at the very least it might cost you thousands in insurance, fines, and lawyers’ fees, not forgetting in damages. An home bar keeps you safe at home and your money in the bank.